In the six months ended September 30, BC Hydro purchased 7,640 GWh of electricity from independent power producers. It paid $599 million, which is $78,400 per GWh. 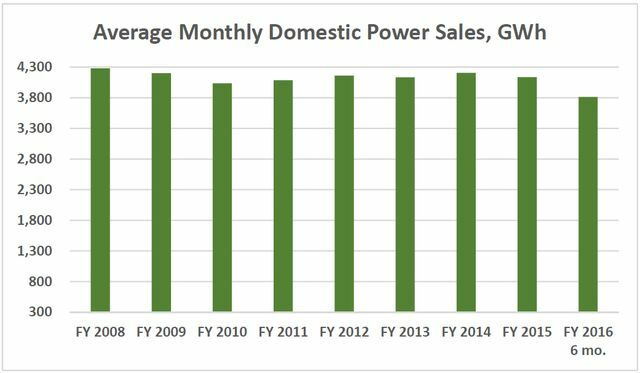 In the same period, BC Hydro delivered 6,771 GWh to heavy industry at an average sale price of $55,400 per GWh. Not counting very significant overhead and transmission costs of gathering electricity from many small producers and delivering power to industrial users, such as those owned by Murray Edwards, Christy Clark’s most generous supporter, the direct loss is $23,000 per GWh, or $156 million in six months. This reveals two large subsidies being provided to Liberal friends. Compared to heavy industry, residential consumers pay 187% more for each unit of electricity and commercial users pay 165% more. In addition, independent power producers are paid prices for electricity far higher than either the BC or Pacific Northwest markets justify. 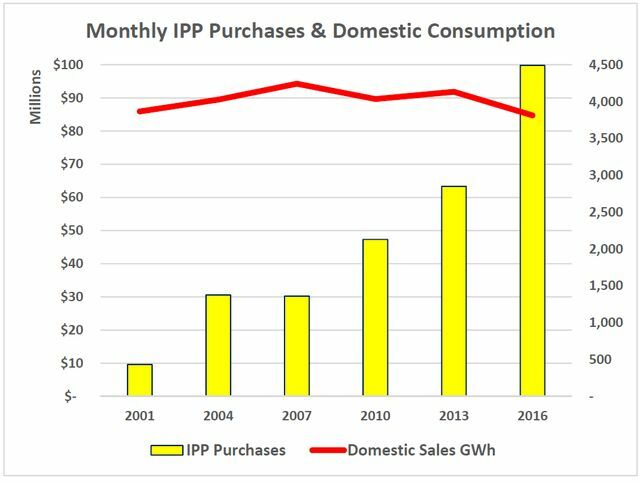 Additionally, they are insulated from business and market risks since BC Hydro reduces its own power generation to accept IPP electricity into the system. Now BC Liberals think hundreds of millions spent subsidizing the electricity bills of their financial contributors is insufficient. Energy and Mines Minister Bill Bennett proposes to allow mining companies to defer payment of power bills and mineral taxes. The latter is insignificant because mining companies already pay almost none. However, electricity is a big ticket item. Bennett says “There’s urgency to this.” I suspect that Premier Clark’s minions were rolling on the floor laughing, wondering how many other financial time bombs could be planted for future governments. Of course, the details of planned deferrals are not discussed in public. Is Bennett proposing that resource companies be allowed to pay monthly bills a little after the due dates, or is he offering something far different? Will unpaid bills attract interest? Will deferrals be for a year, five years or forever? Will long-term contracts be signed to ensure no future government can change deferral terms without triggering large payouts to the businesses? Now in 2016, we still can’t afford to raise social service benefits but helping a favourite Calgary billionaire is urgent. She heard BC Hydro has a deferred debt problem so she’s countering it with deferred revenue. BC taxpayers hard earned cash being recycled to friends of and donors to the Liberal party. And eventually to line the pockets of those Liberal ministers who end up on the boards of those companies. How is this not criminal activity? Allowing mining companies to defer payments to BC Hydro, which is planning to spend $9 billion on Site C Dam. Guess who makes the rules? As Laila Yuile reported, BC Liberals intentionally removed penalties that formerly applied. However, were any prosecution warranted against government officials, they would have to be launched by government officials. But, you say, there would have to be an independent Special Prosecutor appointed if wrongdoing was suspected. Only if government officials chose to make an appointment and, guess who would make the appointment. Fact is that Special Prosecutors are taken from a fairly small list of professionals whose firms are nearly always blessed by lucrative work assigned by government officials. There is a large financial incentive to keep those officials happy so that work continues to flow. Murray Edwards and his cohort's mines are mines in part because of Chrispy's largess. My dictionary describes a mine as “a large excavation in the earth from which to extract ore…”. 'Ore' is defined as a deposit of minerals from which a metal can be PROFITABLY extracted. Without cheap power some of this 'ore' would only be an uneconomical heap of mineral, much like your back yard, and NOT a mine. As the value of the resource deteriorates the value the subsidy must increase! With the right friends anyone can be a miner! The only solution to this problem overall, is outside legal action of some sort, either federal or otherwise. Unless the NDP, can step up and confront the malfeasance head on, the taxpayer must itself organize to confront, what can only be described as an organized criminal entity, financed by party supporters, whose corporate interest has benefited in the extreme, by the manipulation of public resources. I suspect that the folks at Democracy Watch, or other international group, might be interested in the goings on here in BC. At least an “outside” source may be able to convince both international and other specialized Law Enforcement interests, to begin some sort of investigation. It appears, the RCMP, or other federal criminal investigative bodies, are either unwilling, unable or perhaps prevented from, investigating what is obviously a questionable government headed by a party of somewhat dubious “intent”. It seems our constitutionally sanctioned provincial government and indeed our parliamentary democracy itself, has been subverted or even “infiltrated” by “organized crime”. If this was the work of outside foreign nationals…I'm sure the RCMP, CSIS, the public “Safety and Security”, minister, and perhaps a host of other, up and coming federal wanna be's would be all over this. Why are these “criminals” not being investigated and charged? We know that Liberals created situations intended to tie the hands of future governments when it comes to resource taxes. Now the Mines & Energy minister is proposing to “defer” electricity bills and mining taxes. I doubt that Teck, Imperial Metals and others care about having a few extra weeks to pay their utility bills so I suspect what's really intended is to make those charges disappear permanently. In that case, agreements made with the mining companies will probably have clauses that penalize future governments from changing terms. Thus, a question for a person trained in law and savvy with politics. Could opposition MLAs, relying on the principle of quantum meruit, sign a legal warning letter stating their intention to undo any supply contract or tax arrangement that provides unjust enrichment by treatments not available to others in British Columbia in similar circumstances? As a layman, I can understand the difficulty of making that stick in a courtroom but – this may be the important part – can it be a way for the opposition to focus public attention on the hidden subsidies provided resource companies? I would suspect, that agreements that are not in the “public interest” or for that matter create a situation that is deemed “unreasonable” or be of “dubious intent”, would not be binding, if the original agreements were found to have been entered into, with a government that can be “proven” to have been “negligent or derelict” in negotiating such contract's, “in and for the public interest”. The political oath and indeed “premise” of government as a whole, is to protect the interests of “all British Columbian's” not just a select few. The “Breach of Trust' issue in this regard, would seem to be the “wedge” that will open this “Pandora's box of a legal quagmire the B.C. Liberal's may have gotten themselves into. placing, contract obligations on future governments, that can only be seen as unreasonable, and of “dubious political intent”, or if not, “criminal intent”. As long as I can remember, one justification for lower prices to industry was their large use of power. The idea was to take lower revenue on each kilowatt hour but earn more revenue through larger volume. I also remember the old business joke about selling shovels for less than each cost, but hoping to make up for the loss through volume. Even the Liberals aren't that stupid so the explanation of their energy policy is something else. It is simple economics. The Government wants to subsidize businesses that are heavy users of power but they don't want to do it openly where the values and justifications of subsidies can be examined. Were the businesses in need? Were all B.C. 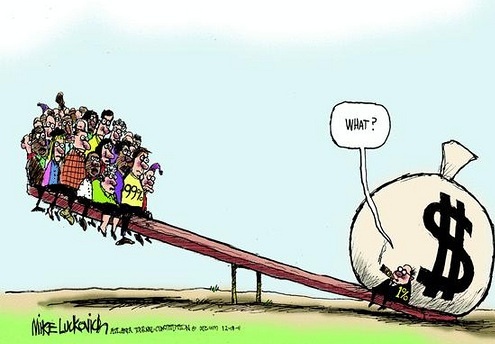 businesses treated with equal fairness? Were jobs produced and communities preserved? Was tax revenue generated? Was business assistance for limited in time or permanent? There is another old rule of politics: when you do something good, you tell everything to the world; when you do something bad, you hide all details. I believe that reasonable people can readily determine what's going on in B.C. I'm confused. They tell me to use LESS power and when I don't, they up the rate. And you tell me industry is encouraged to use MORE power and they lower the rate! And as if that isn't enough, they 'defer' the cost until, when? The Royalties have been reduced to zero? Thank goodness for the economy drivers – ICBC, MSP, and the like, or we'd be in serious trouble.